Honor is an online exclusive brand introduced by Huawei. This brand is expected to release a new mid-range smartphone which will sport best in class specification and price tag. The phone that we are talking about is the Honor 5A Plus. Sporting a 5.5-inches 720 pixel resolution display and 2GB RAM and 16GB internal storage, which can be expanded up to 128GB via microSD card slot. In the camera department, it brings out the best with a 13MP rear camera and an 8MP front facing camera. It runs on Android 6.0 Marshmallow operating system based custom user interface. 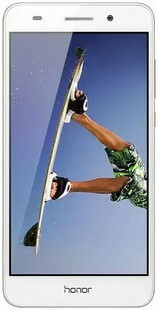 In terms of connectivity, it has a 4G network, microUSB, GPS, dual SIM and Bluetooth. All this is powered by a 3000 mAh capacity battery. Honor 5A Plus full specs and reviews as of Apr 2019. Buy it here!